Beloved by her fans, special to the poet’s own heart, Mary Oliver’s dog poems offer a special window into her world. 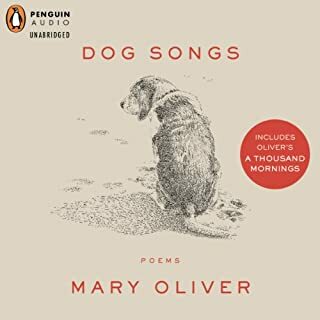 Dog Songs collects some of the most cherished poems together with new works, offering a portrait of Oliver’s relationship to the companions that have accompanied her daily walks, warmed her home, and inspired her work. These are poems of love and laughter, heartbreak and grief. In these pages we visit with old friends, including Oliver’s well-loved Percy, and meet still others. 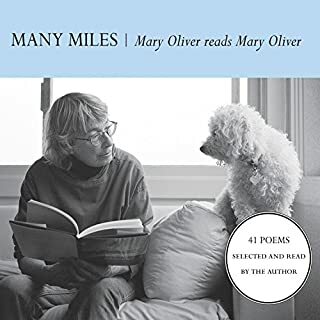 Mary Oliver has published fifteen volumes of poetry and five books of prose in the span of four decades, but she rarely performs her poetry in live readings. 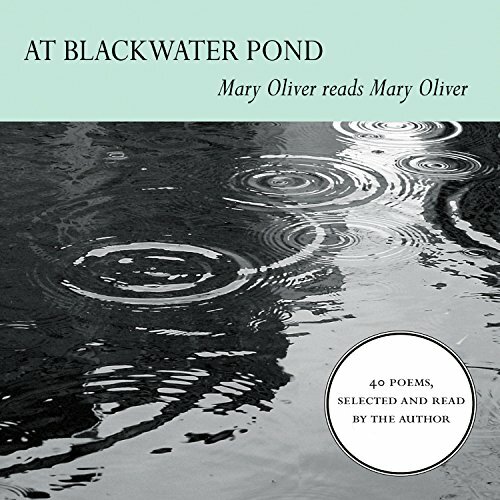 Now, with the arrival of At Blackwater Pond, Mary Oliver has given her audience what they've longed to hear: the poet's voice reading her own work. 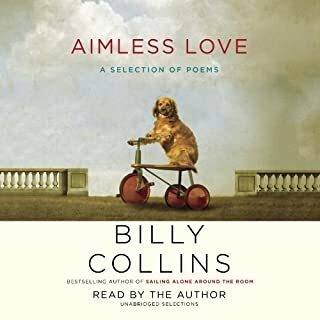 In this beautifully produced audiobook, Mary Oliver has recorded forty of her favorite poems, nearly spanning the length of her career, from Dream Work through her newest volume, New and Selected Poems, Volume Two. I have been a fan or really a lover of Mary Oliver's writing for as long as I can remember. I own most of her books in print and read them randomly and often. Oliver's words are powerful and through their deceptive simplicity and careful word choice convey deep meaning. Art in print for me. 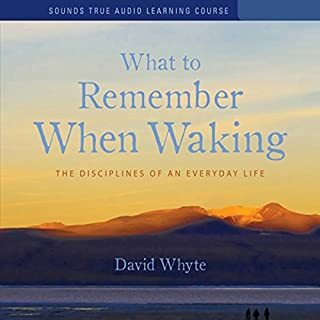 Then recently I tried several radio play type of recordings from Audible--a new thing for me--and found that I enjoyed them very much. When I saw this collection of poetry--read by the author I was interested. I thought that it might be wonderful to hear the author read her own poems. What I found was that voice recordings of poetry can be a wobbly thing. Much of the pleasure of reading poems--for me--comes from the ability to pause and think. Pace the words--putting stress on different lines in my mind. In short, the recorded version did not work for me. Thank goodness I own the book in print. Don't miss the poems but do listen to the sample first. There is a delicacy to Mary Oliver's plain speaking which resonates well with the kernels of wisdom she so effortlessly conveys. I love Mary Oliver's poetry and thought it would be wonderful to hear her read her own work. Unfortunately, I found her narration quite dry and I could not complete this book. Mary Oliver has created the space within these poems to stretch ones self into comfort. If you could sum up At Blackwater Pond in three words, what would they be? What other book might you compare At Blackwater Pond to and why? Well I could list every book I ever read by Mary Oliver, which is lots, but this is the only I've read with my ears, and the ear bone is so old and wise. So nothing. What about Mary Oliver’s performance did you like? Her voice is like dripping nectar at times. Hearing Wild Geese aloud made me forgive myself and loosen up any exterior standards I have, for I do not have to be good! The Buddha's Last Instruction had a similar release. I have listened to this so many times, I know about half of it by memory, by a usually water logged memory. 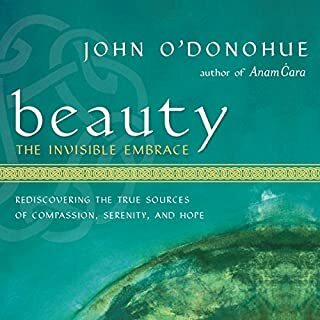 Stunningly beautiful poetry for any lover of great writing, but it certainly brings a unique depth to the experience that can only come with having spent some time on Earth. What made the experience of listening to At Blackwater Pond the most enjoyable? Great poetry read by the author. Best of all possible events. What was one of the most memorable moments of At Blackwater Pond? "Her grave" brought back memories of my favorite dog. Which character – as performed by Mary Oliver – was your favorite? 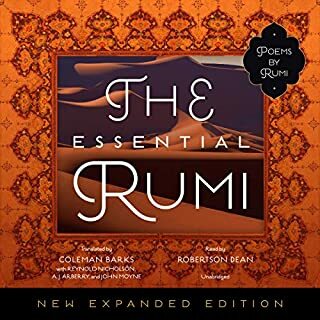 Poetry needs to be more available in audio books. A gifted poet, Mary Oliver's visceral and humble writing style invites you to join her daily walks and introduces you to her observations and friends in nature. Beautifully written and read. Have you listened to any of Mary Oliver’s other performances before? How does this one compare?